San Francisco, CA - Acclaimed singer/songwriter Spencer Day, fresh off his international tour in support of his recent release of “Daybreak”, his fifth album and his first independent effort in seven years, has signed a multi-year contract with Modern Works Music Publishing. The aim of this partnership is to bring more of Spencer’s evocative music to films, television, Broadway and commercials. Spencer Day (www.spencerday.com) is widely regarded for his original songs which blend compelling melodies, smart lyrics and lush arrangements. Music critics have compared Spencer’s music to that of Gershwin, Porter, Carole King and Paul Simon. Audiences around the world have enthusiastically supported Spencer for over a dozen years at venues as diverse as Birdland in New York, the Hollywood Bowl, Jazz Alley in Seattle, the Pacific Rim Jazz Festival in Manila, the Kennedy Center in Washington, DC, Feinstein’s in San Francisco, Tanglewood, on the Craig Ferguson Show and at music venues and festivals across the U.S. and worldwide. Spencer has a widely diverse and enthusiastic fan base in the U.S., Asia, Latin America and Europe. Modern Works Music Publishing (modernworksmusicpublishing.com), and its principals Robert Donnelly and Dan Coleman, are highly regarded in the music industry for their deep commitment to their artists and their creative efforts. Modern Works collaborates with a worldwide network of subpublishers, record labels, film and television companies, advertising agents, video game makers and digital music stores to bring their clients’ music to ever-widening audiences. Their roster of artists includes Grammy Award winners, Rock and Roll Hall of Fame inductees, Songwriter Hall of Fame inductees and other highly regarded composers and performers. 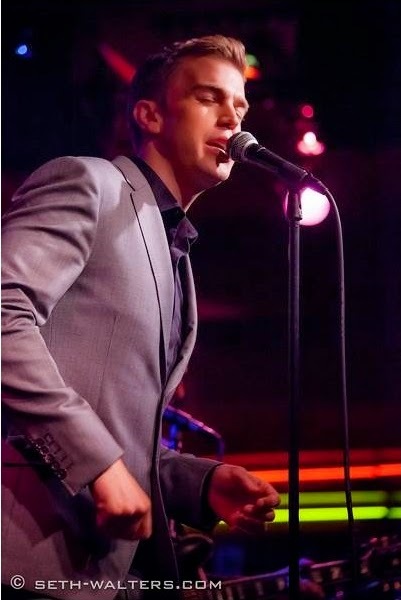 Spencer Day has just released his 2014 Holiday Single, “Christmas With You” featuring Spencer with the Joel Evans Big Band. This holiday treat features Spencer with his distinctive honey baritone voice and the spirited sounds of this big band standout. On radio now and available for download from iTunes and on Spencer’s website (www.spencerday.com). Spencer Day will host and perform in a live worldwide concert December 13th at 6:00 PM (eastern), 3:00 PM (pacific) at www.stageit.com/spencerday. Spencer will play the songs, tell the stories and answer fans’ questions on this special holiday event.